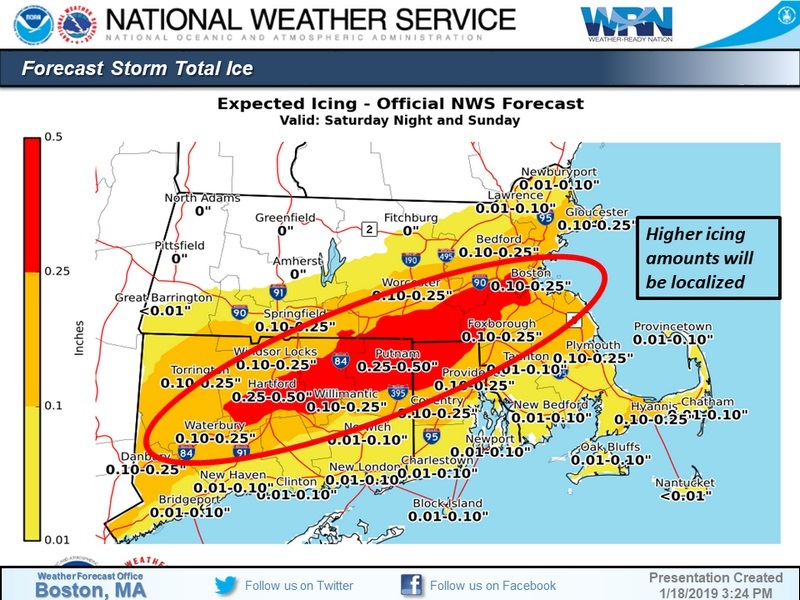 An update from Southborough Emergency Management confirms that while we may have a bad storm in Southborough tomorrow night, the details keep changing. 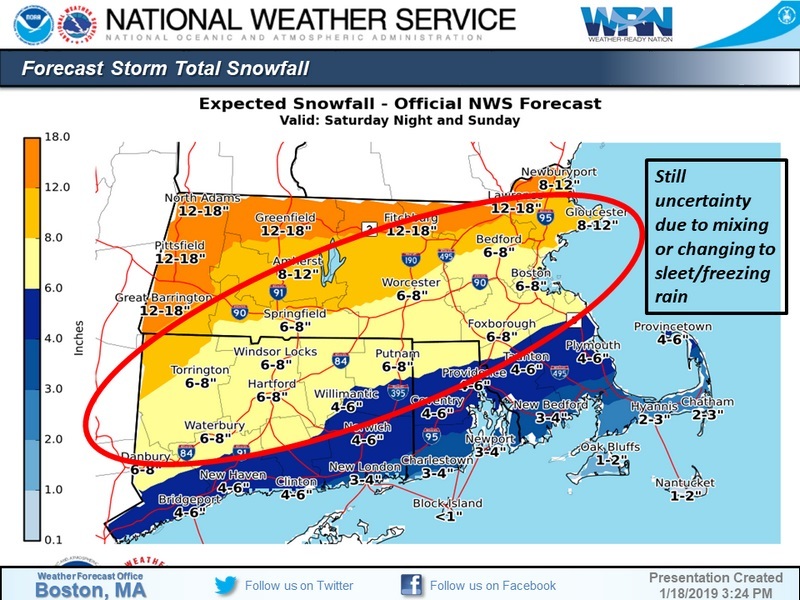 So be prepared for heavy snow up to 8″, followed by freezing rain/ice, and potential power outages Saturday night and Sunday. But don’t blame SEMA if the warning ends up seeming overblown. The storm track is still teetering, making the exact snow, ice, rain line difficult to pin down. The most current forecast has the track sneaking north just a bit bring the area of most concern for freezing rain and icing (0.25-0.50 inches) very close to our area. That said we are still in the 0.10-0.25 inch zone, of which I would predict us to be on higher end of the range. The combination of heavy wet snow and ice will give us a pretty high potential of moderate+ damage and power outages. One the plus side, the snow should create a blanket before the freezing rain starts, reducing the chances of direct ice accretion on wires and trees. The snow blanket (and thus ice crust) should fall fairly quick from the high winds that will follow the storm. Fire, Carbon Monoxide and electrical hazards associated with power outages, live power lines, generators and alternative methods of heating.